Everest Base Camp in either February to May versus October to December. What is the best time of year to trek Everest Base Camp? This depends on a wide range of factors. Trekking to Everest Base Camp and climbing Kala Phatar should be on every trekkers bucket list. I have climbed to the top of Everest and trekked to Everest over 30 times. I personally prefer when there are going to be less people walking the trail to Everest. The Everest region has it all, excellent mountain viewing, majestic mountains, amazing people, challenging trails and an experience that will stay with you forever. The exciting expansive views will leave you mesmerized. Standing at the base camp of the world’s highest mountain and trekking up to the famous and classic view of Mt. Everest from Kala Phatar is truly breathtaking. If you really want to enjoy going to altitude you need 3 nights in Namche Bazaar on the way up. Our itinerary has this built in. There are two distinct trekking seasons. 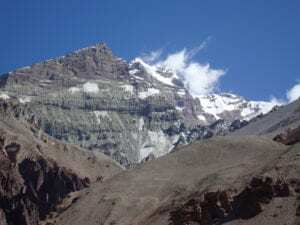 The best months to trek to Everest base camp are pre-monsoon (February, March, April and May) and post monsoon (late September, October, November and December) It is possible to make the journey late May and early September but be ready for possible helicopter ride in and out of the mountains. It can be cloudier low down on the trail. This limits flights in or out of Lukla. My personal favorites are March, late October and November when there are less people on the trial to Everest. READ MORE about Trekking to Everest or CONTACT US today for further information.